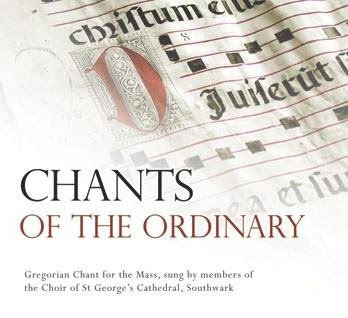 Chants of the Ordinary (Cantus Angeli) Volume 1 is the first of three educational CDs of Gregorian Chant designed for use in parishes. The Chant is performed by a small group of singers from the Choir of St George's Cathedral, London, under the direction of Nick Gale. Nick is a UK-based teacher of Gregorian Chant and the Director of Music at St George's Cathedral. Volume One features complete performances of seven Gregorian Masses, the Ambrosian Gloria, the Asperges and Vidi Aquam, three Credos and a selection of alleluias with verses. The chanting is clear, as befits its educational purpose, and has a haunting quality, which its rival, Plainsong for Parishes, lacks. I am keen to find out when Volumes 2 (Advent - Candlemas) and 3 (Lent - Trinity) are due to be published. The website advertises Gregorian chant tuition sessions, both one-day and residential, which Nick Gale leads. The testimonials page indicates that he has taken the workshops far and wide, and they have been very successful in giving confidence to parish choirs of all abilities. I tried to upload a couple of the tracks to the blog without success, but you can listen to the Asperges by clicking on the Recordings page of the website. You can sign the petition HERE. Twitch of the mantilla to Fr. John Boyle.